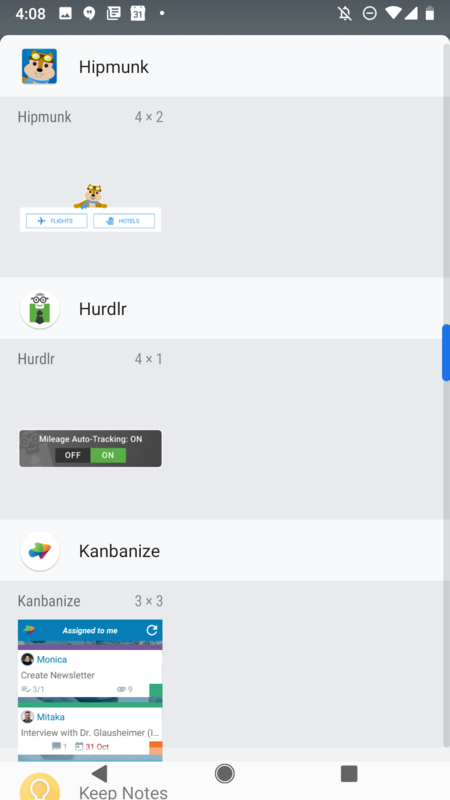 Is there an Android Widget for Hurdlr? 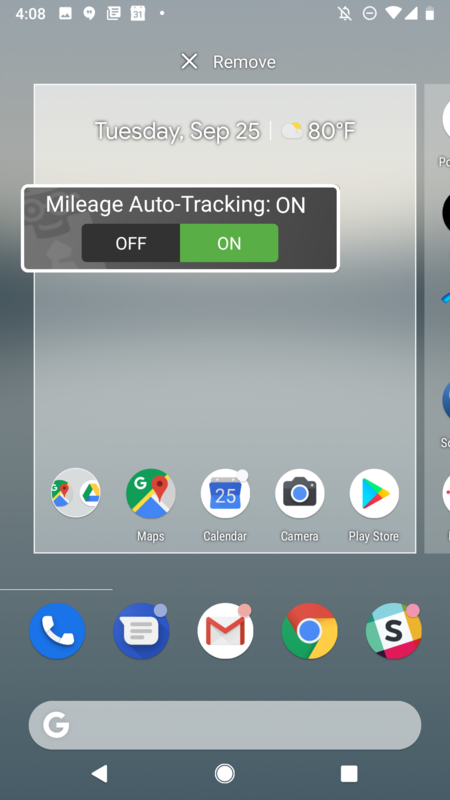 Hurdlr has a widget for Android that allows users to turn the automatic mileage tracker on or off from their Home screen. 1. 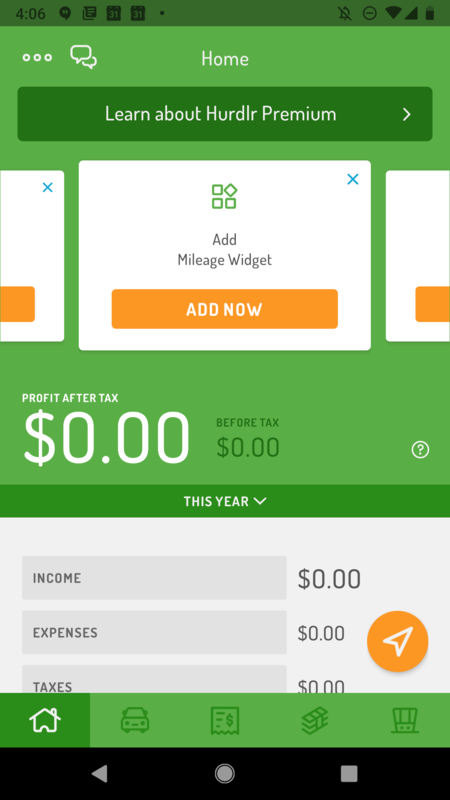 Click the "Add Now" button for the Add Mileage Widget card at the top of your Home dashboard. 2. When prompted to add it to your Home screen, tap OK.
3. 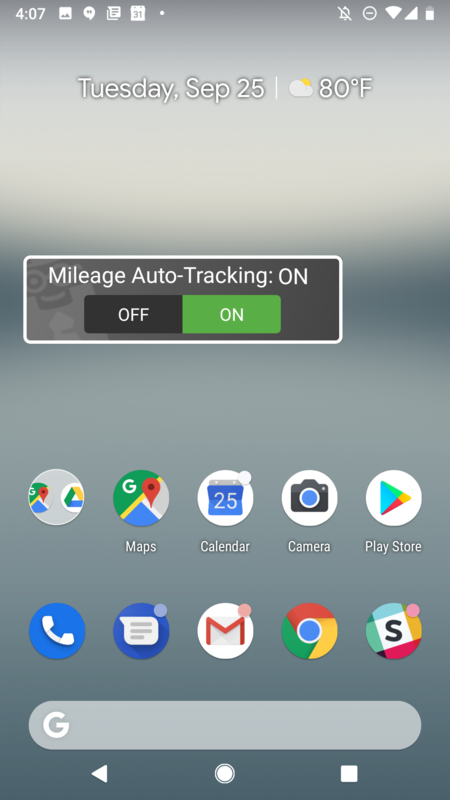 Now you can use the widget to turn the Mileage Auto-Tracking On and Off. 1. 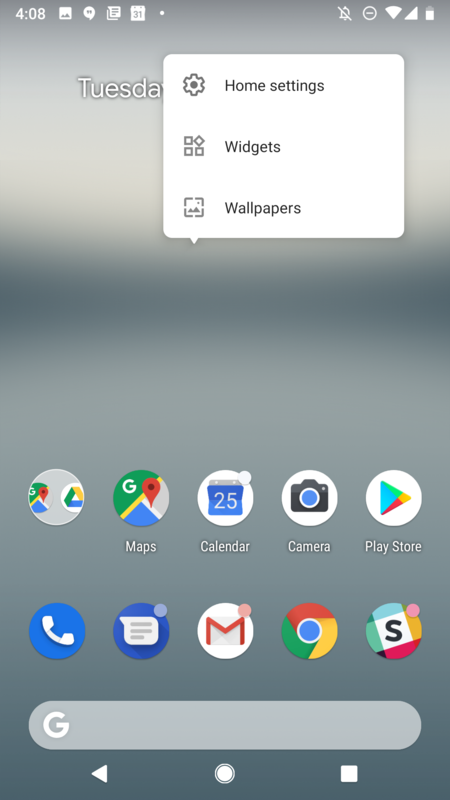 If you don't see the add widget card or just want to add it directly from your phone's Home screen, hold your finger on any empty space on your Home screen until the Widgets option pops up. 2. 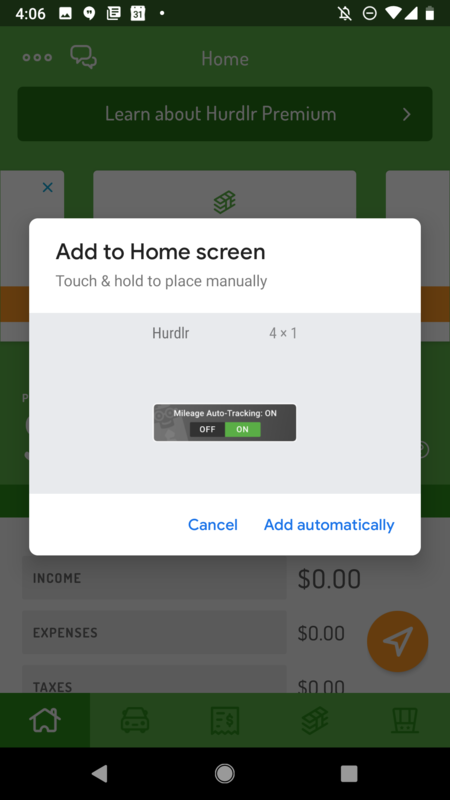 Tap Widgets and scroll down to find Hurdlr, then tap on it to add it to your Home screen. Hold your finger on the widget until the Remove option appears, then drag there.